The Mars One mission was once a media darling, but a critical MIT report has triggered a backlash against the project that even includes one of its own potential astronauts. The skies will go dark over the remote Faroe Islands Friday morning. The World's former science editor, David Baron has traveled there to catch the total solar eclipse. NASA’s Dawn spacecraft already racked up several firsts during its seven-year flight from Earth, and now it's the first-ever spacecraft to orbit a dwarf planet. Scientists are hoping its yearlong stay at Ceres, in the asteroid belt between Mars and Jupiter, will help reveal clues about how Earth got its water. Maggie Lieu has wanted to be an astronaut since she was a child. Now she's on the short list of candidates for Mars One, a non-profit mission to Mars that's using private donations and a reality show to try and send a crew of colonists to the Red Planet — for the rest of their lives. The last time Comet Lovejoy was visible in the night sky was 8,000 years ago. Now it's back and visible from the Northern Hemisphere in the coming weeks, and binoculars or a telescope can give you a glowing view of the visitor. Talk about a long, strange trip. 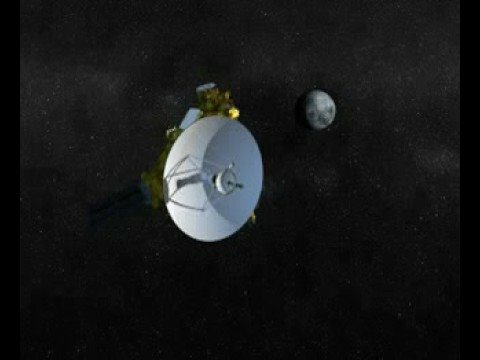 A NASA spacecraft called New Horizons has traveled 3 billion miles through space over the last nine years and now is approaching Pluto. Aboard: Ashes of the astronomer who discovered the distant orb in 1930. The Curiosity rover is currently roaming a 96-mile crater on the surface Mars, and the evidence it has collected suggests that the crater was once home to a huge lake. And NASA scientists say this information is unlike any they've seen before. One small step from Earth, one giant leap to Mars? NASA says the first launch of the Orion spacecraft on Friday is “the dawn of the new era of space exploration" that will finally kick off the attempt to put humans on Mars. Tuesday marked the 50th anniversary of when Soviet cosmonaut Yuri Gagarin became the first human being to orbit the earth. The World's Clark Boyd looks back on Gagarin's legacy, in Russia and beyond. What Exactly IS a Comet?